Situated in the exclusive Vale de Lapa area of Carvoeiro, this stylish property is set in glorious lush gardens offering complete privacy and outstanding space and comfort. The beautifully decorated interior is spacious and contemporary with a large open plan ground floor, giving the ultimate modern living style. 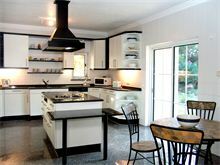 The superb kitchen, with central island and breakfast area, flows through to the dining room and steps down to lounge. 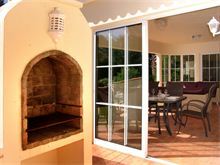 Patio doors from all areas, access the spacious covered terrace with quality outdoor furniture and lovely views over the pool and grounds. This idyllic spot gives rest from the sun and glass sides provide shelter from the breeze making it great for outdoor dining day and night. 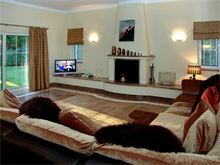 The bedrooms all offer en-suites with the two ground floor rooms sharing a separate second TV lounge. Upstairs the master suite is complete with a further terrace overlooking the pool. Approximately 750m from the tennis club where there are floodlit outdoor courts, gym, fitness classes, hair salon, restaurant and bar. 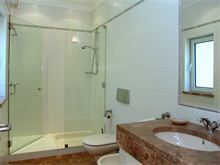 Approximately 2kms from Carvoeiro centre, beach and shops. Drive with electric gates leads to the villa. Entrance into hallway, guest cloakroom, doors to second TV lounge leading to double bedroom with en suite bathroom, with separate walk in shower and doors to terrace, further double bedroom with en suite shower room and doors to terrace. Hallway leads to fully equipped kitchen with dishwasher, microwave, dining area, steps down to lounge with TV, 3 sets of doors to covered terrace. Separate laundry room. 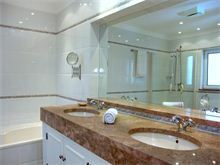 Up stairs to master double bedroom with doors to terrace, en suite bathroom with separate walk in shower. Maid service 2 times per week. 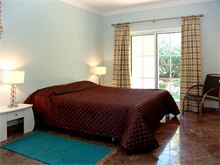 Part air conditioning (bedrooms only), pool heating and Wi-Fi are available at additional cost, if required. 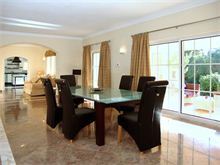 Beautiful villa in a very nice area very well equipped inside and out, pool was huge and well heated. Surrounded by beautiful flowers and palm trees, eating delicious barbecued food together as a family on the veranda, children playing happily in the pool, relaxing in truly luxurious and peaceful surroundings...our holiday at the 'Peacock' house was, in the words of my seven-year-old, "Awesomely Epic!" 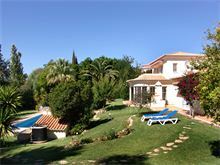 Excellent Villa just outside the busy little town of Carvoiero. Close to the tennis club and there are quite a few local restaurants to choose from if you don't want to go into town. 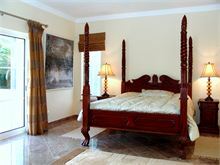 The Villa has everything you could possibly need and the pool is very large. I wouldn't hesitate to book with Affinity Villas again in the future as they have delivered exactly what they advertised. The villa was amazing, everything and more than we expected. We had a wonderful holiday. The house manager and the maid were lovely. Would definitely recommend this villa. Thanks also to Affinity as any questions we asked were answered in a timely and efficient manner. This property is lovely, great area and has everything you need! Been going to Carvoeiro for many years and would definitely recommend it. 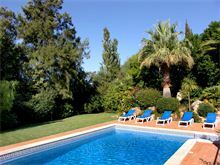 The Villa has a wonderful garden and heated pool and a great outdoor living space. Wonderful villa in amazing grounds. Beautiful swimming pool, and all kept immaculate. Carvoeiro is a lovely resort with top quality restaurants and outdoor entertainment at night in the square. This was our second stay at O Jardim do Paveo. 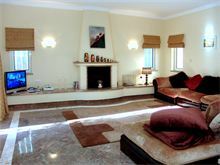 The villa is beautiful and spacious and the garden is fabulous. 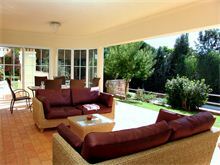 We would recommend this Villa to anyone looking for a peaceful location. 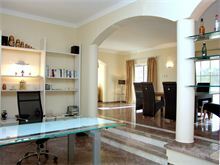 A very spacious and comfortable villa in a quiet location. A car is necessary to get to the centre of Carvoeiro and surrounding areas but as long as you have transport, it was a perfect base to explore both East and West Algarve. 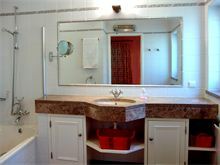 The villa is perfectly equipped with up to date appliances, nice swimming pool and looked after very well by the cleaning maids. 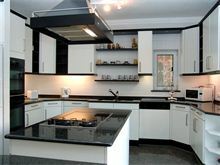 We also found that the house manager was very helpful and prompt with a couple of small issues we had. She was very professional and available immediately to ensure everything went smoothly with our stay and kept in touch accordingly. We felt very comfortable, secure and easy to live in for our 3 week stay. Can't fault the villa at all. This was our first villa holiday and we were not disappointed. The villa had everything we needed and was extremely comfortable. My only regret is that we only booked for one week! Will definitely be going back! 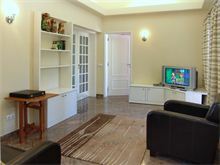 Beautiful villa, very spacious and good facilities. 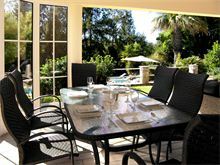 Fantastic pool and outside dining area. Located near tennis club and we got tickets to use the Gym. Walkable to town ( 40 mins) but a couple of nice restaurants closer to Villa worth looking at (Luisa next to mini-market excellent food and very reasonable). 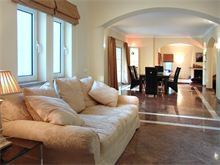 Beautiful private villa, probably a little big just for the two of us but loved it all the same. The garden was beautiful and well thought out, lots of pretty flowers and privacy. An excellent villa. 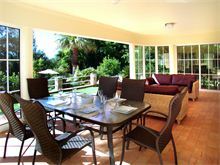 As a family we really enjoyed the luxury of the villa and the garden. The pool was really clean and the sun beds comfortable! Ruth, the local rep, was very knowledgeable and her recommendations were all excellent. She was friendly and a good help for our stay. On the plane back from a holiday we all select three things that we really enjoyed from the break, and this time the villa was mentioned by all of us as one of the three items. Well done Affinity Villas.